Tours depart twice daily, at 9 am and 3 pm. We are comparing Skip the Line Borghese Gallery and Gardens Walking Tour Prices from leading ticket suppliers and Try to find you Cheap tickets prices on the market. Pay a visit to one of Rome's wealthiest building, hosting collections by revered artists such as Titian, Caravaggio, Canova, Bernini and more. As one of the city's top attraction entrance queues can be long, but with this ticket, you'll get priority skip the line entrance. With a small group tour of the Borghese Gallery you'll become closely acquainted with some of the world's most famous painting and sculptures, including ‘Pauline Bonaparte' and ‘Apollo and Daphne'. Take your time to admire perfectly sculpted figures, contemplate the abstract and the impressionist, learn how art movement flowered and bloomed in the city and discover the history and secrets of this world-famous gallery. Your friendly multilingual guide will fill you in on the facts and be happy to answer any questions you have. 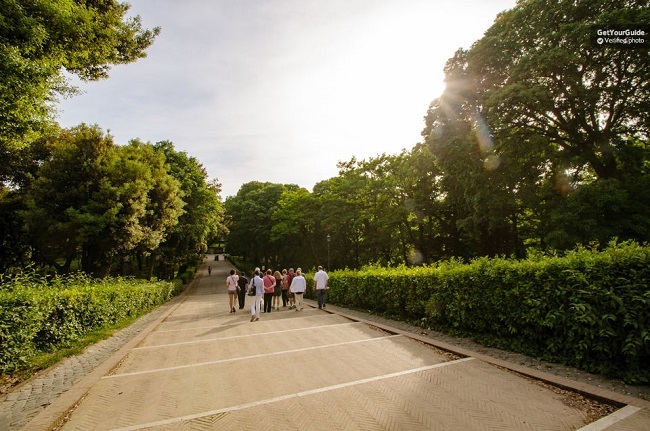 After visiting the majestic villa your guide will take you for a leisurely stroll through the Borghese Gardens where you can enjoy the fresh air, admire decorative fountains and rich flora in this ‘Eden of Rome'. And last but not least, you will climb to Pincio Terrace, the best viewpoint in the city. Here, your 3-hour tour will end and but you'll be welcome to stay to enjoy the views of Central Rome. This tour is tailor-made for anyone looking for an in-depth journey into the world of Italian Art. Perfect for people with a strong interest in the history of art and for people who would prefer to take a personal small group tour. Suitable for all ages, however, young children may find the tour a bit long. Your Experience With Skip the Line Borghese Gallery and Gardens Walking Tour? Take an intimate small group tour of the famous Borghese Gallery and Museum. Save time with skip the line entrance tickets. Benefit from the extensive knowledge of a qualified art historian guide. See masterpieces by the likes of Titian and Bernini, admire marble and stone sculptures and exceptional carvings. Stroll the elegant gardens surrounding the gallery, enjoying the beautiful design and decorations. Finally, make your way to the best terrace in Rome and take in the panoramic views of Italy's capital city. What Skip the Line Borghese Gallery and Gardens Walking Tour Includes? Skip the Line priority entrance ticket. 3 Hour small group tour of the Borghese Gallery and Gardens. Take the morning tour if you think you would like to stay longer at the Borghese Gallery and Gardens after the tour has ended. The gallery is closed on Mondays so bear this in mind when planning your visit to Rome. Book in advance during the holiday season. Travelers Reviews about Skip the Line Borghese Gallery and Gardens Walking Tour? Travellers have very little negatives to say about this tour, in fact, you would really have to dig deep to find even a minor criticism. This 3-hour tour has a 5 out of 5-star rating on TripAdvisor and Viator websites and an impressive 4.7 out of 5-stars from Get Your Guide users. The tour is operated by City Wonders, which is a reputable company local to Rome and the Borghese Gallery itself is rated as one of the ‘must see' attractions of the Italian Capital. Print or electronic tickets are accepted. Tickets are refundable however cancellation fee's may apply depending on supplier. This tour is available in English on Thursdays and Saturdays from November to March and every day from April to October. Tours German or French are available on specific days. The Borghese Gallery is closed on Mondays. All bags mush be left in storage at the entrance.